Since Amazon sold 1 billion items last holiday season, it’s safe to assume that many of you will be doing some of your Christmas shopping with the online retailer. But did you know that you can do some good for charity while buying gifts from Amazon? With AmazonSmile, you can easily and automatically support your favourite charitable organization whenever you shop—for no additional cost. By visiting smile.amazon.com to make your purchases, you’ll find the same products, prices, and shopping experience, but with the extra benefit that Amazon will donate half a percent of your purchase price to the charity of your choice. When it comes to charitable giving, it really doesn’t get any easier! Using your existing Amazon account, simply visit AmazonSmile and then select the charity that will receive the donations from your purchases. There are nearly one million organizations participating in the program, including the vast majority of charities that we have featured here on the Elf Blog, such as St. Jude Children’s Research Hospital and the Dave Thomas Foundation for Adoption. 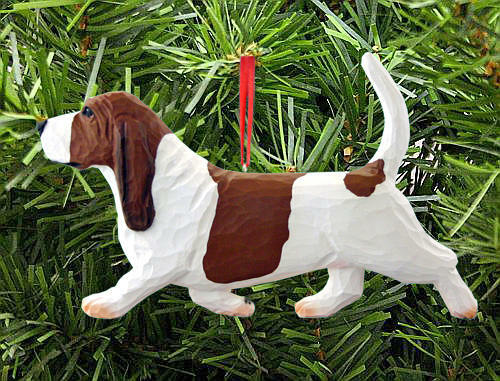 There are also plenty of small and regional organizations to choose from, such as Basset Hound Rescue of Georgia or the Greater Pittsburgh Community Food Bank. In total so far all charities have received more than $62 million (!) just from folks shopping on Amazon, which they would be doing anyways. And if you want to start using AmazonSmile, but you’re worried you won’t remember to start at smile.amazon.com, you can add a bookmark to your browser or you could install the Amazon Assistant. Whether you’re finishing up with your Christmas purchases or just getting started, consider shopping at smile.amazon.com to effortlessly give a little something extra [for free!] this holiday season. 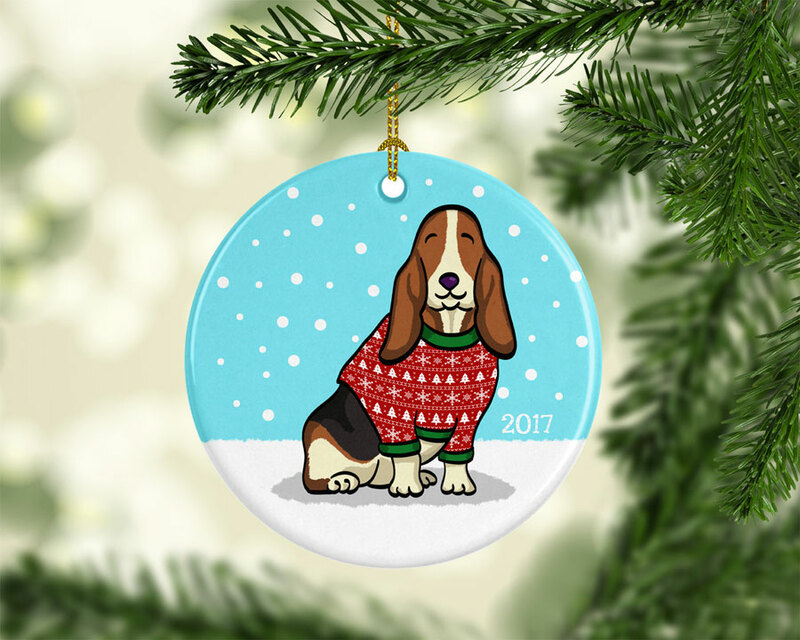 After the adorable, festive videos and photos I posted earlier today, I have bassets on the brain. Although—let’s be honest—when do I not? 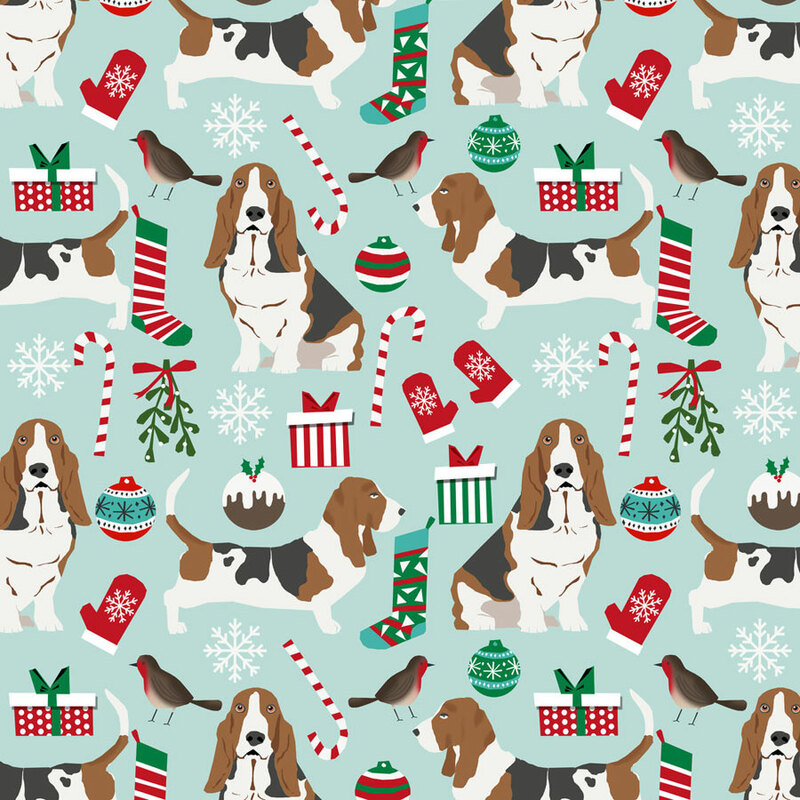 Of course I adore this sweet Christmas card featuring two basset hounds under the mistletoe. 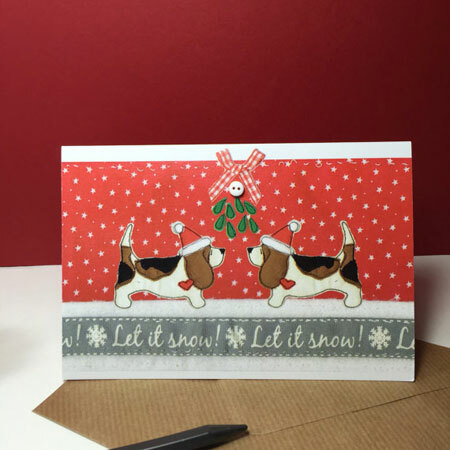 This card does leave me wondering one thing: When doggies meet up under the mistletoe, do they slurp or sniff each other?